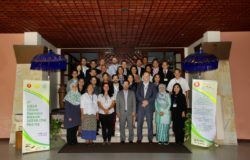 The ASEAN Forestry and Climate Change Project (FOR-CC) joined hands with the ‘Better Rice Initiative Asia’ (BRIA) to organize a training of trainers on ‘Using Climate Information for Decision Making in Rice Farming’. 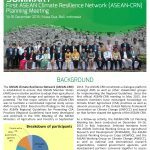 The event was held in Grand Serela Hotel, Medan on April 5—7, 2016 and aims to develop an effective approach to support farmers in making better informed decisions about their crop and management options. To do so, a training module to improve farmers’ access to climate information as well as capacities to use this information and develop response strategies will be developed based on the training. The training was attended by BRIA champion farmers, BRIA’s field facilitators, education institutions (University of North Sumatera (USU), Islam University of North Sumatera (UISU), College for Agriculture Extension (STPP) Medan), Assessment Institute for Agricultural Technology (BPTP) North Sumatera, Food Crops and Horticulture Plant Protection Service (BPTPH) North Sumatera. They are expected to use the learning and integrate it into their services provided to farmers and related organizations. 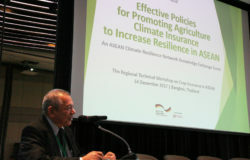 Lectures were provided by key experts on the topic in Indonesia like the Indonesian Agroclimate and Hydrology Research Institute (IAHRI), the Indonesian Center for Rice Research (ICRR), the Center for Pest Forecasting (BBPOPT), the Indonesian Agency for Meteorological, Climatological and Geophysics (BMKG), University of Indonesia and the Indramayu Rainfall Observers Club. 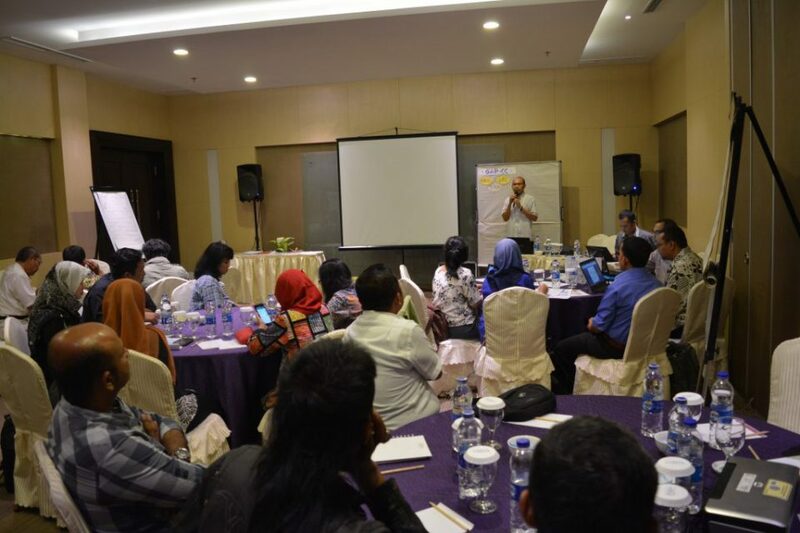 They covered topics ranging from the basic concepts of climatology and climate change to the Integrated Cropping Calendar of the IAHRI, new and improved rice varieties as well as the relationship between climatic factors and pest control. The training was complemented by a field trip to Suka Makmur village, Binjai, Langkat, North Sumatera to observe a BMKG rainfall monitoring station and discuss the possible uses of climate information. On this occasion, Rhino Ariefiansyah an anthropologist from the University of Indonesia, together with one of Indramayu Rainfall Observers Club member, Nurkillah demonstrated how the club collects rainfall and agro-ecological information and utilized to improve farm management decisions. “I feel lucky to be able to join the training. It gave me an insight how actually we can use climate information to be well prepared of climate change. Nurkillah inspired me a lot on how to manage rice field. I am also happy that I have new friends to discuss about my rice fields and new knowledge. I just learnt that we actually have many types of rice varieties,” told Suhaimin, a farmer in Langkat, Medan, North Sumatera. In the future, BRIA will keep updating its training modules by taking climate issues into account for extension activity. 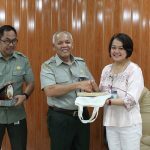 Furthermore, BRIA plans to integrate the CFT for rice within its database as well as to seek a cooperation with BMKG Sumatera Utara in term of addressing climate information services. 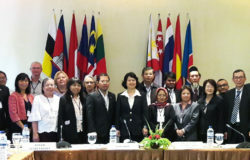 ASEAN-German Programme on Response to Climate Change in Agriculture and Forestry (GAP-CC) is comprised of two projects designed to improve the framework conditions for sustainable agriculture and forestry in ASEAN Member States: FOR-CC project that promoting increased resilience to climate change in ASEAN Member States through the dissemination of climate smart agriculture practices and the Sustainable Agrifoods System project (SAS), through the Better Rice Initiative Asia (BRIA) that developing and disseminating best practices in rice production to improve farmer’s incomes and nutrition while reducing externalities on the environment.